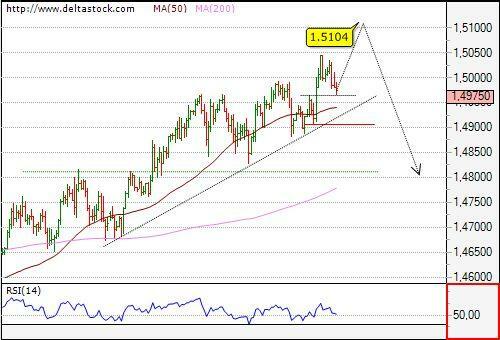 The overall uptrend is intact with a crucial level at 1.4945. Intraday bias is also positive for 1.5063, en route to our target at 1.5104. Minor support can be found above 1.5011, followed by 1.4981. 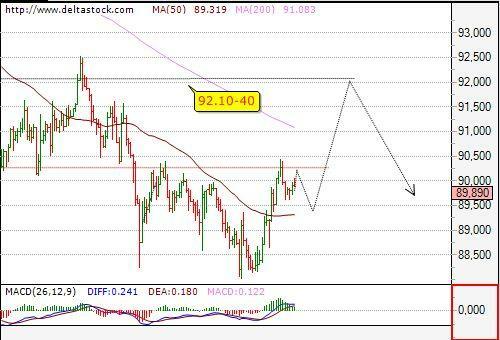 Our target at 92.10 has been precisely hit and the pair reversed, dipping to 91.57. Despite of current negative momentum, a real confirmation that a top is in place at 92.19 will be received with a break below 91.20 support area. Current bias is negative with resistance at 91.98. As expected, the pair reversed sharply below 1.6752 resistance zone and the break below 1.6619 confirmed, that a top is in place at 1.6693. Keeping in mind, that there is no significant support between 1.6752 and 1.6130, current target is set at 1.6110-30 area. 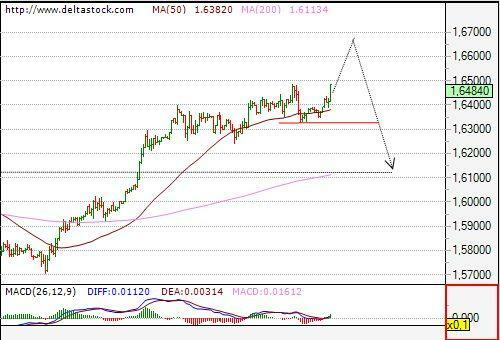 A minor consolidation is to be expected above 1.6250 with a potential for 1.6363 resistance. Crucial on the upside is the major resistance around 1.6490.